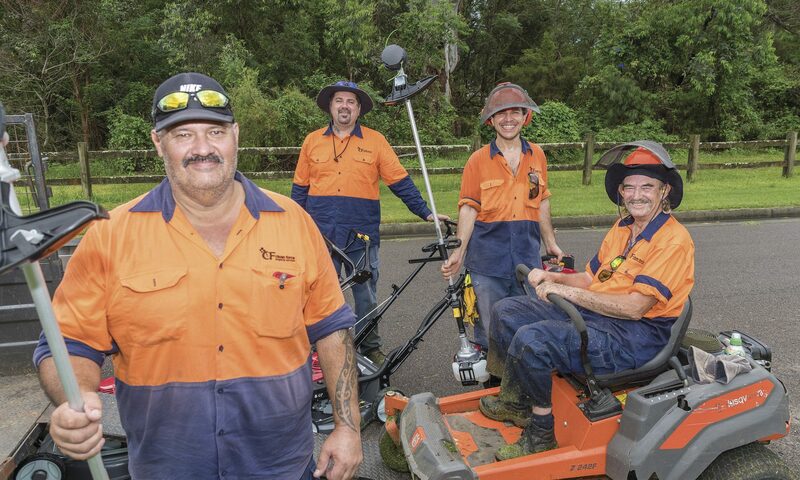 Thanks to a grant from Sydney Motorway Corporation, Clean Force Property Services, a WISE Employment social enterprise, has been able to purchase new equipment for its commercial cleaning and grounds maintenance operations in western Sydney. Clean Force is a multi-award winning social enterprise with a social purpose to provide employment for people with disability, including mental illness. The grant will allow Clean Force, which operates around the M4 Motorway in western Sydney, to grow its services, resulting in the creation of more jobs for people needing an employment opportunity. By having a second set of mowers, blowers, brush cutters and a trailer, Clean Force can establish another gardening crew and potentially employ a further four to six full-time employees. This is strongly aligned with Sydney Motorway Corporation’s sustainability objectives of building skills, employment opportunities and economic development for communities along the WestConnex corridor. “We believe that providing real employment with long-term prospects is the best way to transition unemployed people with disabilities into the workforce and increase personal confidence and capability,” said Jim Dinuccio, National Manager, WISE Social Enterprises.